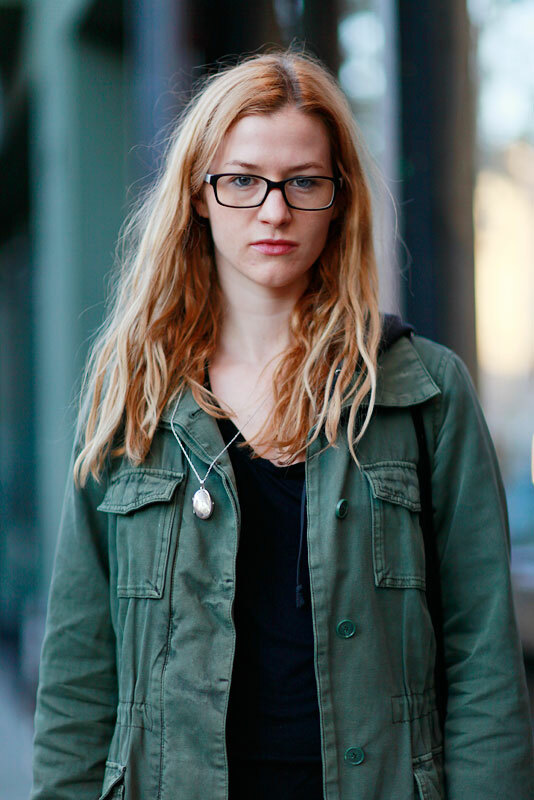 "I like simple mixes of eclectic things from vintage to new items." 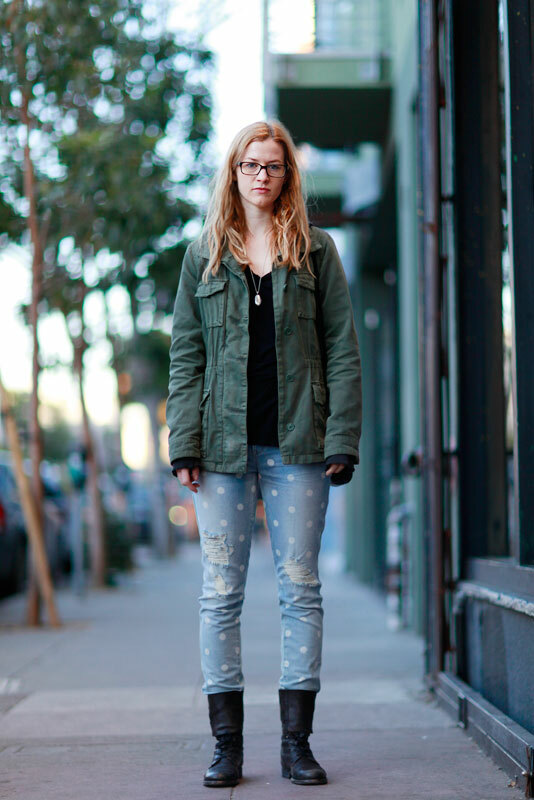 Erin designs for Marc by Marc Jacobs and here she's wearing these Marc by Marc Jacobs distressed polka dot jeans with a sandstone wash (that I love) paired with her olive military jacket. I also love her hair. This is a 90s grunge silhouette done up in a modern way. 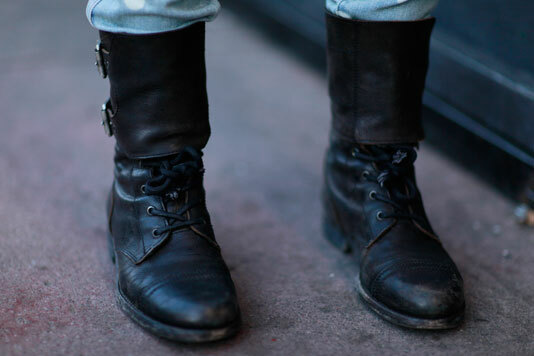 Lace-up and buckle military style black leather boots.